Are ranchers stupid? You might think so if you watch their behavior towards predators. For decades ranchers have declared war on coyotes. Despite their best efforts, coyotes not only survive, but thrive. Even with taxpayer subsidies to America’s welfare ranchers in the form of Animal Damage Control agents, and the slaughter of tens of thousands of coyotes annually at taxpayer expense, the coyote continues to expand its range and numbers across the land. Ranchers are not known for being overly enlightened when it comes to ecological concepts, but one would think if one’s bottom line were being impacted, one would act in one’s self interest. Unfortunately for most ranchers, the operating mode is doing what your grand pappy did. If your dad and your grand pa killed coyotes, then who are you to question such policies? Yet there is compelling evidence that the killing of wolves and other top predators is one of main reasons coyote numbers have exploded across the West. There are good ecological reasons for this. Basically wolves, and to a lesser degree, mountain lions, kill coyotes. This has been demonstrated time and again. If you have an ecologically effective wolf population, you will have far fewer coyotes. And coyotes avoid areas with high wolf activity. For any geographic area, due to social interactions between wolf packs that limits wolf numbers, there will be far fewer wolves than coyotes per acre. 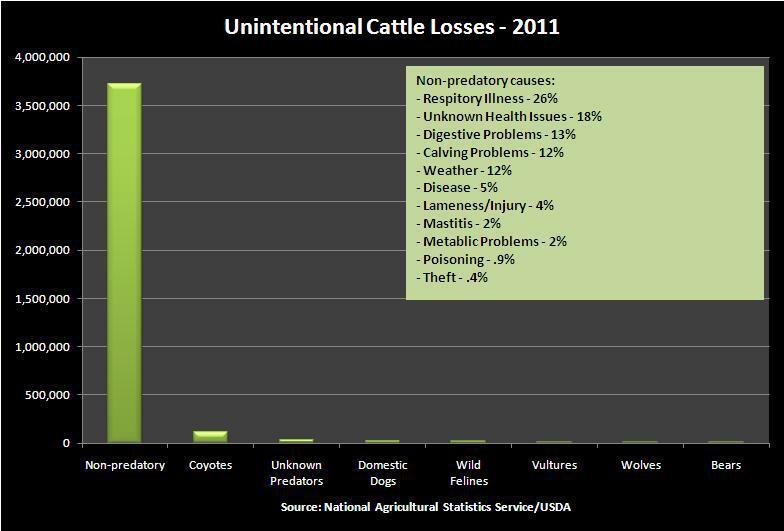 While ranchers will still lose some animals to wolves, the losses are far lower than the losses to coyotes. In a typical year Montana livestock producers report 18,000 animals lost to predators—primarily coyotes, while the losses to wolves are a fraction of this number—typically under a few hundred animals at most. This ecological fact of life even affects wildlife. For instance, in areas with substantial wolf activity, there are fewer losses of pronghorn and deer fawns to coyotes. Throughout the West we see state legislators (often ranchers—which explain the situation) and some hunters demanding that more coyotes be killed to jump start mule deer populations that are currently in decline. The presumption is that if you kill enough coyotes, you’ll see mule deer herds expand. Utah, never known for its progressive politics, recently enacted a bounty on coyotes in hopes of reducing losses of mule deer fawn to predators. The same legislators are adamantly opposed to restoration of wolves to the state. These Utah legislators would do well to read a few papers on coyote-wolf interactions. Unfortunately many hunters also demonstrate an ignorance of wolf ungulate ecology. There is growing evidence that wolves by removing weak and sick animals, improves the overall health of prey species like elk and deer. There is even some tantalizing new research that suggests wolf predation can INCREASE elk numbers. Certainly the fact that most western states report elk management units at or above objectives suggests that wolf predation isn’t causing a huge decline in ungulates across these states. With the delisting of wolves from the Endangered Species Act, western state wildlife agencies are aggressively killing wolves. It is not a stretch to suggest that these agencies are indirectly harming their state’s livestock industries by killing wolves, thereby reducing the one effective control on coyote populations. In any case, the ecological term for this phenomenon is meso predator release. In other words, without top predators, populations of mid size predators like coyotes expand. A recent paper by William Ripple goes into great detail about this meso predator release summarizing the research that has been done for decades on these observed relationships between wolves and coyotes. The conclusion of dozens of scientific studies is that the best way to reduce predator losses is to reestablish ecologically effective populations of wolves. Ecologically effective means more than token populations just barely large enough to avoid relisting under the ESA as some states have for goals, rather it means promoting wolf recovery across the state. Of course, if ranchers are really stupid, I won’t expect them to change. I like to think that ranchers are as smart as the next guy, but they sure haven’t demonstrated that when it comes to dealing with predators. In reality, ranchers should be the strongest advocates for wolf restoration, but I’m not holding my breath waiting to see them change. 135 Responses to Are Ranchers Stupid? As always George, I love your writings on that incredible predator we know as the wolf. Yes, if ranchers, not to mention taxpayers that have their taxpayer dollars wasted, compliments of Wildlife Services were at all clever, they would realize the best way to control coyotes are wolves. Just like Mother Nature intended. Well I see your spreading half truths again seems to be a real problem for you. So let me help, in your first paragraph you lead us to believe the “war on coyotes” is a attempt to eradicate coyotes. What is really going on is ranchers lowering coyote populations near ranches so that losses to coyotes are lowered not ended. We’ve already proved in the past that we can eradicate a species. As for Wildlife Services if you paid taxes and those taxes were a average amount you share of WS would be less than .25 cents, you waste that on electricity telling half truths. If the spread of coyote populations was a result of a open season on coyotes then why not a open season on wolves? Your second paragraph, well that’s just you and you ego. As for the third paragraph, Montana has a lion population greater than other states wolf population, if wolves and lion were going to lower coyote populations like you suggest it would already be happening. As for the last sentence there’s a report out there that says wolves are 170 times more likely to kill beef animals than coyotes. Meaning one wolf is as much of a danger to killing my livestock on my ranch as having 170 coyotes on the same land. If we look at numbers for Montana in 2009, 299 animals were confirmed killed by a known number of just over 500 wolves. We also know that for every confirmed kill up to seven go unconfirmed. If we use 5 as a factor we have 1495 head of livestock lost to wolves, over 2.5 head per wolf. No predator in Montana even has a 1:1 ratio let alone a 2.5:1 ratio. Let’s jump down to where you talk about wolves increasing elk numbers, you always talk about elk numbers over a entire state never about elk numbers just where wolves live. Of course wolves have no effect on elk numbers in areas where there are no wolves. How stupid does one have to be to figure that out? If wolves were increasing elk numbers, that would be easy to prove but you can’t and you don’t. You continue to miss lead people a simple lie or half truth, your a simple smooth talking con-man who uses words to mislead and deceive. I think you maybe enlightened. Thanks for the link it’s always good to read more info. I enjoy the differing views but when a view become propaganda and it’s easy for me to pick apart BS like George prints, well that make me mad. I’m not sure Mallonee’s any more straight with his presentation than George. I should have included for your enlightenment that during the summer grazing season I receive a monthly report from MT FWP, it includes local pack name, general location, number of members seen in pack, number of grey’s, black’s, and number of pups. Hard to dispute that kind of visual data and that’s how Montana comes by it’s minimum wolf count. Some ranchers perhaps are stupid but for the most part, they’re just greedy. To me it looks like the profession of “rancher” is a liability to society and highly destructive to the ecology that supports us. My opinion is that these Rancher things should have all their rights taken away from them to their land and their cattle and forced into bankruptcy. No sympathy earned for the criminal and the greedy. George great article,but I like to hear what Rancher bob thinks,he always has another opinion.Sb would add to the depth of the article,I think his opinion would also reflect a different point of view.But I always was told killing more coyotes only makes them breed more pups as mother nature intended. Many years ago in grammer or high school or college I was told during a world war or any war their are more male children born than female children born.So this is natures way of stability in a population. makes sense the same would apply to nature. Man is stupid, look what are government is during that tells a big part of the story about mankind. Not exactly the same … Obama did it ???? smart move there…not holding your breath…. George…..thanks for saying what so many of these so called “wolf advocacy” groups are unwilling to talk about. Bet you won’t find this article posted on their web or facebook pages. Mari, I think you misunderstand what Jerry is implying here. I will not try to speak for him but, as many wolf advocates like ourselves have found over the years, so many of the mainstream wolf advocacy groups are loath to call out ranchers as the main foes of wolves. Rather, they try to work with ranchers to make ranching and wolves compatible. I don’t think the two are and I don’t think that livestock belong on public lands at all… period. I think Jerry is pointing out this rather than saying this article isn’t about wolf advocacy. Just a short comment,it’s so sad to see what you have written in your article is so true George, but the ranchers the wildlife agencies go with the same norm over and over. THe animals suffer and we indirectly suffer from our taxes. Like taking money out of the verterans who really have suffered and taking social security from us all. Instead of taking a nickel from every trade on Wall street. I enjoy seeing and photographing wolves, but I am not sure that wolves have impacted coyote populations in Yellowstone to the extent that many people have been told.I would like to see some recent population esimates of Yellowtone’s coyotes compared to those before wolves were returned. Coyotes usually show up on wolf kills and I have observed them outrunning wolves in every instance. A wolf full of elk meat cannot catch a coyote. Re: your observation. About a year ago I came across a couple interesting papers regarding wolf/coyote dynamics. In extremely brief summary, wolf presence in the YNP region dropped coyote numbers initially but there has since been some stabilization. The coyotes adapt their behavior and timing/intensity of habitat use to take advantage of the increased carrion subsidies and mitigate potentially lethal conflicts. Good reading/insights to add to your observations on how the neighbors are figuring things out on the landscape. Thanks, George. Will be enlightening to see how this succinct article plays in the other Stadiums of the Mind here in the West where some of our Sacred Cows are actually cattle…. I am upset that you label ranchers “Stupid”. It’s like the dumb bubbas lumping all “native” Montanans as joining together in their uneducated ranting. They often try to speak for all Montanans. We Montanans this and we Montanans that. Well, I’m here to tell you, I’m a 5th generation Montanan who ranched most of my life. I don’t believe in harming wildlife, I love coyotes and always have. They used to follow me around and around when I was haying on the tractor, looking for moles that were stirred up. We raised cattle and horses and never had any problems with coyotes when we encouraged them to be around. I can see that if a cow aborts a calf or has a very difficult birth that a coyote could interfere. That’s not the coyotes fault, that’s the fault of the lazy rancher who isn’t caring for his animals. I love to observe coyotes in the wild. I used to have a wild pack join me every time I would go for a horseback ride through the woods. They’d run and play in front and behind me. We had great conversations. Their playfulness is beyond others. I lived with a coyote sleeping in my bed for 16 1/2 years. She was the animal love of my life. We had a fox den in the middle of one of our pastures. We could watch them grow and play around livestock. One day after being in town, an acquaintance came to visit us and was loading up his rifle to go into the field and rid us of them. We kicked him off the property and told him never to come back. There were badgers there too. None of them hurt anything. Not even the chickens, because we kept them penned so nothing could get to them. Be a responsible rancher and you’re livestock should be safe. If you find a coyote in a pen killing something then shoot it. If you find the neighbors dog or cat in there doing the same thing, shoot it. So what are your thoughts (being a 5th generation Montanan) about wolves back on the landscape? I do not believe that you really should label all ranchers as stupid. Back in the 60s in Central Oregon there was a rancher who wrote a book on the subject of how coyotes actually enhanced the local environment. It makes for good and educational reading. “Don Coyote” was written by a rancher named Dayton “Hawk” Hyde. You can learn about what happened when there was a field mouse explosion that actually wiped out crops in Central Oregon and how Hyde’ ranch (named Yamsi) was spared because of his past encouragement of the coyote population there. The ranch is located near the head of the Williamson River and a mountain called Yamsay. I certainly do admire you Sheryl for your love of wildlife and your attitude towards ranching. If only there were a lot more ranchers like you there would be a lot less killing of coyotes and wolves and other predatory animals going on. its nice to know you are out there but it seems like you are in the minority unfortunately when it comes to tolerating predators. Good article, George. What do you do in a country where science, justice, decency and ethical behavior are not respected by those in charge of policy? Well, I don’t think that all ranchers are stupid There was a rancher in Central Oregon who had a place at the head of the Williamson River near a mountain called Yamsay. He called his ranch Yamsi. This particular rancher named Dayton “Hawk” Hyde wrote a book about how he managed his land. The book “Don Coyote” is about how to manage land without slaughtering coyotes and how the ecosystem responds in a positive manner. Gene thanks again, I have never heard of this book it looks great. first paragraph in the synopsis talks about how someone shot off the hind leg of the coyote and gleefully chopped off is tail. Laws have to change, this kind of inbred cruelty is the stuff of nightmares. Coyotes, wolves and predators in a living hell, is not an overstatement. This article should be required reading for ranchers. Although some ranchers, like Ross Hurd in central Washington, seem to be taking an intelligent approach toward protecting their cattle, some deadheads up around Colville don’t seem to be thinking in their own best interest, let alone that of the wolves – or even their cows! I’ve always wanted to point to evidence that wolves moving into the land (near me, UP Michigan) knocks down the coyotes enough so that less deer are molested in total. Sure, maybe wolves aren’t as bad as they first seem, when you consider these secondary effects, but it the post sounded like they actually help short term. I’m not saying there is no such data, just that I’ve not seen it. Now I hear there are dozens of studies, but none good enough to point to perhaps. If there was a good study more or less demonstrating that, or it’s so simple to explain how the results of several studies make a specific prediction likely, why haven’t pro-wolf forces been pointing it out to me repeatedly? Maybe they are stupid, eh? There are three fairly recent studies – one showing that pronghorn fawn survival is higher in the presence of wolves, one that shows a negative correlation between wolf and coyote abundance, and one showing higher small mammal numbers near wolf homesites. As I recall they were all done in the GYSE – with the higher wolf and coyote densities here in the WGL coupled with very high deer densities I would expect the relationships to be measurably different. The current Mississipi State predation project in the UP is showing coyotes to be the primary agent of deer predation, even in wolf-occupied areas. Please come & study the wolves, coyotes, coydogs, wolfdogs, & coywolves around here. There is a pack of coyotes around here with 2 domestic dogs running with them. One of the owners has been informed of the sightings & does not care. There is a wolf with one of the coyotes packs here. They are inter-breeding around here….& have been for some time in Algonquin Park. They all kill the livestock. Does no one care about the ripped out throat of the baby lamb? These new breeds of predators show no fear of humans & are seen in the daytime as well. Why is it that they kill & eat one domestic dog & then allow another to run with the pack? They were very active around here last night & nothing stops them from coming in the barnyard but the sound of a rifle…they know the smell of iron. These critters are very smart…it is one thing to kill in the field…quite another to come around your house & barn! Where do you think “leg of lamb” comes from down at your local supermarket? Don’t you slaughter the baby lamb? (Are you using”Baby Lamb’ as symbolism for Christ? )You slaughter the baby lambs, a lot more than wolves. To save this planet we must stop your raising animals that are slaughtered by the millions. While you are at it, let the wolves kill wildlife, as they kill the weak, the sick, old and young to keep the wildlife with the best genetics, rather than hunting for the best animals. This history has occurred for centuries in China, Mongolia, Europe etc, and you will see that decimation of wolves, decimates the land itself. Jeff E, maybe you should stop eating meat, lamb, pork, poultry as the cruelty inflicted on animals raised for food is far worse than the natural death by a predator and happens every second of every day in slaughterhouses. I don’t eat meat that comes from slaughterhouses…. Jeff E, I think you asked that question before and I too have often wondered the same thing when it comes to raising livestock and doing business, in any kind of predator country. Geez there’s no doubt these calves & lambs are sure cute as the dickens when born but if you’re not protecting them, who’s REALLY at fault here? And it doesn’t take a degree in rocket science to realize when they reach a certain age (slaughter size) their throats are gonna be ripped out, regardless. Google or rent the video Earthlings, Ann Fox. A real eye opener when it comes to where your livestock, once grown and no longer cute and cuddly, will eventually end up. Ranchers raise animals for one purpose and one purpose only; as a commodity, to make money off of. Now there “”may”” be some sheep operations that raise sheep “”only”” for the wool….but I doubt it. For a rancher to try and elicit emotional hay about “”how”” an animal dies is, at best, repulsive. I know exactly where they come from….I personal y do not eat meat. Have not since grade 4…that does not answer any of my questions. Whether you eat meat or not has no bearing on whether native predators eat meat or not. Dogs only can kill by tearing apart. They are not as efficient as cats. Those canines are just doing what they are equipped to do by nature. Ann, you just have to accept the ‘circle of life’. So eating your own species is the circle of life? Seems to me that circle will soon come to an end. Believe it or not there are ranchers & farmers who understand living off of the land & how to keep it sustainable..they have been doing it for thousands of years. Carbon Nation talks about this. We are a small family farm well on our way to being self-sustainable. We have our own cows (who keep their babies) so we have all our own milk, cheese, yogurt & ice cream. We have our own bee hives & honey & make all our own bread. We grow many vegetables & are now selling straight from the farm. We have our own meat birds & eggs..(all vegetable feeds ,no blood & guts..free range. Sheep (wool & meat). We are about to purchase some Berkshire pigs (they are grazers). I personally do not eat meat but realize that many do…so treat the animals humanly..because everything lives & it dies & it is the time in between that is important. No GMO’s or commercial fertilizers are used here. If you watch Carbon Nation & listen to what Peter is trying to say you will see that this is sustainable. When a predator comes into the BARNYARD it is shot. Both my ducks were killed by coyotes or something resembling them & those ducks were pets. I know what we are doing to survive & reduce our carbon foot print…YOU? Support Your small family farms & farmers markets…we care what you eat….we are eating it too! I do a great deal of the same things that you are doing. I also strongly believe that if/when a predator, any predator enters private property that the owner has every right to protect their property, if warranted, up to and including lethally. On public land,outside of self defense, not so much. Having said all that, trying to elicit emotional hay about “how” an animal dies, and especially one that’s sole purpose of being raised “is” to die, is repulsive. Six coyotes were shot around this area last week for killing a local farmers calf right beside the barn.If you have livestock you have dead stock. One way or another they are going to die. Slaughter houses are NOT humane-neither are the jaws of a pack. The coyotes died a humane death compared to most livestock. Revolting? I am trying to be as humane as possible in a dog eat dog world! This argument does not wash with me – I hear it a lot. You can’t apply human morals to animal behavior. We can’t even live up to our own morals as human beings! We either maintain our self-proclaimed moral superiority or we don’t. We can’t have it both ways. So when I hear “yeah but, what about….” it isn’t the same thing. Animals kill for food, and so do humans, in a lot more vile ways. We supposedly have the ability to be compassionate and merciful, and can choose. An animal can’t. Animals don’t kill for psychopathic reasons either. It is strictly for food, and kept within nature’s design. Well put, Ida. Ann’s argument errs in equating human and animal behavior and cognition. Indeed, as omnivores with access to all sorts of vegetarian options, we are in a unique position to not have to kill to survive. Given the value of that calf down the road Ann, it begs questions – why was the calf not better protected, as in good fencing? Are coyotes new on the landscape (where you live) that no one realized the potential danger to young livestock? Maybe the commenter is vegan or vegetarian, but cute should have nothing to do with what happens to a life. I still think non-lethal methods of control should be used first as much as possible. Uncontrolled hunting, as seem to be occurring, risks extirpating any species. Unfortunately SOME people don’t care about the concept of extinction where once the species is gone they’re gone for good. I’m sure a balance between predators and prey existed before sports hunting came along. SOME others only care about the bottom line, and for them the easiest solution is grabbing their gun and letting loose. Unfortunately the easiest solution is rarely the best. When wolves were eradicated in the US, that left coyotes, who were essentially native to Western US, to explode in their population and expand. Humans have helped immensely by irrigation and farming, creating good habitat. Coyotes were never native to Ontario in the first place. They are breeding with wolves to create super-coyotes. CBC National Geographic did a superb one hour special on this. I suggest you view it free online. Leslie you bring up a good point about coyotes, but some do not want to except the fact! Irrigation and farming has helped, that’s kind of a dirty word to George W. You see irrigation and farming are inter connected to ranching and we can’t have welfare ranchers helping, can we George? Actually, if memory serves the eastern coyote got its wolf genes many generations ago. Regardless, I think the term “super-coyote” is misleading. The eastern coyote/coywolf is slightly larger, but hardly “super”. In fact, getting much larger than 20KG could actually negatively impact the coyote (energetics would require it to seek larger prey, making it less adaptable). JB what do you consider larger prey? I know the typical coyote around here preys on antelope fawns and whitetail. Coyotes are somewhat uniquely able to do both; that is, they can earn a living hunting primarily larger prey, or smaller prey. This ability helps explain why coyotes are so prolific in NA. I was not asking for stats or a study. I want your personal opinion of what you think is large prey. Why do “you” think coyotes can do both and a coywolf cannot. I have been camping at and near Pyramid Lake, Nevada. Just want to say I hear coyotes howling all night. Wonderful!! This as hundreds of American pelicans fly by and Lahontan cutthroat trout, perhaps up to 20 pounds, swim by up the Truckee River. I will soon share that scientific paper with the group. Will you be releasing it on your website first? Any implications for red wolf issues that you know of? I should add that I meant to say that around Algonquin there is a lot of hybridization. However, there is no active prevention of it like there is in North Carolina with red wolves. Jon, do you know of any documentataion about propensity of red wolves to avoid populated areas vs. sme for coyotes? (for argument’s sake) I’ve made the ‘half a red wolf is better than no red wolf at all’ argument to several red wolf experts but most seem to repeat the mantra of killing hybrids. It’s almost like talking to ranchers out west….set in their ways through repetition. It is only inevitable that red wolves will hybridize with coyotes outside the recovery area if they are de-listed. Currently, red wolves are not legally allowed beyond the 1 million acre recovery area in North Carolina. Any that leave the area have to be caught and brought back. If red wolves are ever de-listed then they will be on their own and hybridization will occur where the core ranges of red wolves and coyotes meet. That will likely be similar to what happened along the historical edge of their ranges before humans screwed everything up. More reason for a larger recovery area in NC and more reintroduction sites. It’s too bad you can’t disagree with red wolf experts without insulting them. Unlike the stereotypical rancher’s view of coyotes and wolves, red wolf biologists have science and a very successful program to back them up. The reason they are not receptive to the “half red wolf is better than no red wolf” argument is because the 90% red wolf is still savable, allowing hybridization will mean far less than half a red wolf, and hybrids would not receive any legal protection. The lack of protection of hybrids is a legal argument, not a biological one. Difference noted. The success of the program is relative to whether they can be secured into a habitat. Can they? If they are blocked by a human imposed barrier that is imaginary (not physical or biological) then only humans will adhere to that boundary. Imagine the amount of energy wasted adhering to that imaginary boundary….and nobody sees a problem with that? Jon, your comment implies two different species, or at least sub-species (eastern wolves vs. gray wolves). Am I interpreting your comment correctly? Jay, yes – absolutely. The currently accepted view is that Eastern and Red Wolves are different species than Gray Wolves. Easterns/Reds are North American evolved like coyotes are, hence all 3 are very closely related and why Eastern/Red Wolves mate with Coyotes and Grays don’t. There is a little debate if Eastern and Reds should be the same or separate (but closely related) species. Aves, Probably not surprisingly, I agree with your sentiments 100%. Jon, perhaps my question wasn’t phrased clearly–are you saying that in addition to the gray wolf, red wolf, and ethiopian wolf, the “eastern” subspecies of gray wolf has been re-classified as a distinct species? If so, is there a published paper from the taxonomic community? Read Wolf Totem: how the Mongolians worshipped the wolves as they knew that, although they suffered some losses, the wolves kept their grasslands fertile and green preventing overpopulation of herbivores and rodents that could decimate the grasslands. When the Hahn Chinese overran Inner Mongolia, as they are doing in Tibet, they killed the wolves turning much of the grasslands into an extension of the Gobi Desert, little known history. When the news in China reports huge dust storms covering Beijing, the dust is from the former lush grasslands. We must save the wolves to protect the forests, grasslands, and ranchers from themselves. It’s been established that wolves regulate the number of coyotes. No more wolves? Coyotes thrive. Wolves play an important ecological part in nature. If you don’t want to understand that now, it will be too late when you realize it’s true. If you destroy your wildlife, it’ll be for ever. There is also growing evidence that wolves, by removing weak and sick animals,improve the overall health of prey species like elk and deer. Ranchers should be the strongest advocates for wolf restoration. I hope they understand this before it’s too late. Seemingly, based on USDA stats (see graph at http://oakmossed.files.wordpress.com/2013/01/564268_428321377204441_1830069495_n.jpg), livestock husbandry practices “out-perform” coyotes by millions when it comes to livestock losses. Instead of funding predator/wildlife control, the government should fund a service for ranchers similar to the Soil and Water Conservation Districts set up following the Dust Bowl that assist in smart farming practices. Clearly many ranchers need far more help in protecting livestock from non-predator pressures. Ranchers please take notice of what is being said in this article,what has been written is to help you, you don’t want the world to see you as stupid. That’s a silly question. Obviously, some are and some aren’t (psst…same thing goes for environmentalists). Better question: What, if anything, do you hope to gain by framing the problem in such a divisive manner? Okay – would the word stubborn have been a better choice of words to describe the last 100 years of addressing predator control and the last 20 might fall under, stupidity? I think you’ve missed my point. Some ranchers insist on aggressive predator control, others have become proactive, so assigning a blanket label isn’t correct. More importantly, it isn’t productive–that is, few people (whether they’re ranchers or not) or going to respond well to being called stupid. In fact, they’re probably more likely to do exactly the opposite of what you’d like just to stick their thumb in your eye. You are correct, but I think that was also George’s point (he can correct me if I’m wrong): that they are ALREADY sticking their collective thumbs in our eyes, so why not call them out on their actions, like you would do for any bully? What goal is being furthered by “calling them out”? And what of those ranchers who are doing their best to live with predators via improved husbandry practices? I assume awareness of the action by any who care to observe, in case they aren’t already aware. Unfairly grouped into another typecasting that they don’t deserve. Maybe he should have not used the ‘attention whore’ technique in the title to get people to look in the first place, huh? ….symptom of our times, unfortunately. Totally agree with you JB. Just because you didn’t come out and say, Ranchers are stupid does not mean it isn’t implied, otherwise, why the question? You want them to change, stop ‘calling them out’. Call some out and they dig their heels in deeper, no matter how many proofs you bring to the table. I have been educating myself over the last year about wolves by reading articles, reports, lawsuits, petitions and watching documentaries and videos about wolves. From the knowledge I have gained over the last year I can and do support everything you wrote in this article. I am an advocate for wolves and I have signed so many petitions to stop the slaughter, written letters to the government, even made phone calls to senators and representatives. I will continue to fight for wolves and other wildlife and our environment. I hope to get wolves relisted permanently under the ESA with an amendment that they can never be hunted or removed by some corrupt politician. I have even signed a petition that will place them along with the bald eagle as our national symbol. I hope ranchers will take heed of your article and become supportive of the wolf instead of using all their power to get them killed. George before you judge ranchers maybe you should judge yourself. I live in one of the biggest ranching counties in Montana. I invite you to come and speak directly to these ranchers. I am not a rancher nor do I work on a ranch but I respect the changes they are making. Please don’t set foot on any block management for wildlife watching. I don’t think ranchers are any more stupid than the rest of the general population of this intellectually declining country. People, in general, make decisions based on fear. They get their “facts” from testimonials rather than white papers or any kind of authoritative source. And they read at about a 6th to 8th grade level. They have no understanding of critical thinking or the scientific method, nor do they realize that those 2 things are our best hope of survival. So if your audience comprises mostly the general public, or some subset of it, they probably didn’t make it all the way through THIS article, and would be hopelessly lost trying to interpret a chart or a graph. Furthermore, there is a much darker side to this debate over killing wolves, and it cannot be reasoned away. The kind of person who delights in killing an animal, seems to prefer to kill the most powerful animals, and in an a way that causes as much suffering as possible. This is what has captured the attention of wildlife conservationists who send around petitions and letters to state officials and lawmakers. Such government sanctioned abuse and torture of animals is an indication that the values and morals of the population have become corrupt. These ranchers who train dogs to track and tear wolves to pieces, who trap them leaving them to suffer and die over days, who use GPS coordinates of wolf dens so they can attack during hibernation or while wolves are nursing their pups, and slaughter them before they’ve ever seen the light of day, will soon be mounting bald eagles as trophies in dimly lit pool rooms next to their gun racks, deer heads and wolf furs. I’d be surprised if anything I’ve said is new to you. But if you are truly that naive, if you truly want to change anything, you must know first what you are up against. Your first paragraph is absolutely spot on. There is nothing one can add to it. A good posce of thoughtful and thought provoking writing. However, your second paragraph would lead one to believe that you have “somewhat” fallen prey to that which you accuse others. Since when do wolves hibernate? Wolves’ hibernation period begins right after they shed their antlers for the winter. Some early non-native flowers in bloom, too. Could be the bovine fertilzer, which seems to be in abundance. “The Last Free Man” about “Shoshone Mike” by Dayton Hyde is an excellent read. He and his family were some of the last Native Americans in the continental U.S. living the old ways, along with Ishi and a few others in the southwest. One of my favorite books. Unfortunately ranchers ended all that for “Shoshone Mike”. Ranchers in the west have made themselves look very poor by the way they treat the land, the public and their politics. Livestock have no place on public lands…ZERO. Self-reported losses are roughly an order of magnitude higher than verified losses. While it’s certainly dishonorable to falsely claim predator losses, it seems like building a house of cards to turn around and use these statistics to claim that high wolf densities are the solution to what appears to be an imaginary coyote depredation problem (especially on cattle). I’m all for ending the indiscriminate, ineffective war on coyotes but GW’s opinion piece is full of holes. The biggest fault I see is that it accepts the stereotype that coyotes in general need to be controlled, if not by humans then by wolves. I accept that some individual coyotes and situations may indeed require the killing of coyotes. But the idea that coyotes need to be reduced in number everywhere to reduce conflict (both real and imagined) with human interests is, as the author might say, “stupid”. I am in total agreement to your comments Louise. For starters, I would again recommend reading “Don Coyote”, a book written by a person with the “unspeakable” title of RANCHER. 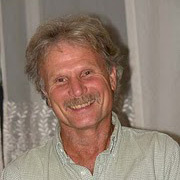 Dayton “Hawk” Hyde is one rancher that used his knowledge of how the environment has built in mechanisms to keep the parts in line. Coyotes do not need us humans to keep their populations in check. I know that some folks think we are part of the “control equation”. Coyotes are prolific, generalist predators that have been claiming new territory for a hundred years (mostly as a side effect of human activities, including predator control). As such, I don’t think it is likely that a position that says coyotes are completely benign or its opposite — they should be subject to continual “control” can be justified. There are too many kinds of situations to adopt such overarching views. No livestock on public lands, I’m tired of being nice about it. Ranchers are dinosaurs, they can’t change. They are hanging on to the idea that marginal lands can be used to run a few cattle even if the return is small and the expense to nature is great. What a waste. As a side note remember coyotes typically have a large portion of their diet that is fruits and other non-meat items, whereas wolves (and some coywolves) lean towards an almost all meat diet. I think this is significant when addressing ‘which’ coyotes we a talking about also. Ranchers, and some hunters, remind me of people who stand outside a funeral home smoking, knowing all too well the smoker laying inside the casket died of lung cancer. People just don’t want to face it. They might have to think of something, or someone, other than themselves and sacrifice a tad, or make a small adjustment for the greater good. To ask for their help is like asking them to cut one of their limbs off with a butter knife… I hope someone can get through to these people and let nature thrive as it was intended to. PS – NO GRAZING ON OUR LAND. BUY YOUR OWN LIKE EVERYONE ELSE. AND PAY TAXES ON IT!! my opinion is ranchers are stupid, although some are changing – i think it will be a very slow process for them to see the facts. I don’t see how it was insinuated that there is no respect for the life of the coyote either. Yes as a wolf advocate my bias on this article seems to point to it as a reason for wolf reintroduction, but underlying it is a message that we cannot let these species be extirpated. We cannot have a mindset that kill kill kill is the right thing to do. I don’t know much about coyotes, but I do know that the wolf was extirpated in the U.S. Repeats of past actions, such as extreme hunting and ambush will result in much of the same. Any reason not to continue such actions and attempt to sustain a population should be lauded. In states where the wolves are extirpated, the coyote will be next. However if an attitude of innate value is instilled in our wildlife this extirpation might be prevented, and the extirpation of coyotes as well, along with the extirpation of the ungulates once there are no predators to prevent the ungulates from overeating the vegetation. The easy solution of kill kill kill is too rampant in our society, and the examples are in our school shootings, our society members that vehemently stress that we cannot have restrictions on our use of assault weapons, or restrictions on hunting wildlife. Those school children will never come back. Those wolves will never come back (the current wolf population was imported from Canada). And should we extirpate our coyotes, they’ll never come back either. Tamara if this were the case with coyotes they would have been extinct decades ago. The coyote has been trapped and hunted year around and has adapted and survived. Does this then give people license to hunt without limits? The current wolf populations that live around my place migrated across the border from Canada, we didn’t import anything, the walked of their own free will across that border, they didn’t know was there and now, the highest population of wolves in the state of Montana live in the NW area, where I live. So to say they are imported is stretching things a bit, they were moved from one place to another that has a similar environment, but they certainly were not an “Import” They lived here before. To bring Sandy Hook into this, just show how off their rocker some are, there is no parallels between the tragedy of Sandy Hook and wolves. Whether the wolves migrated or not, this means they are not the original American wolves that were there before they were extirpated. They are not the same genetics. The parallel I made isn’t to say that these children were on the same level as wolves, it is to say what happens when people choose lethal methods as their primary solution. You are a wolf supporter and you are saying the genetics are not the same? Now that is a new one, I have only heard that from the anti wolf crowd. The wolf genetics of the American wolf is the same, whether they are from Canada or the United States, believe me, when I worked for Montana FWP as a biologist, we studied it to death, they are the same wolves. By the way, you do realize that Canada and the USA are both North America, Right? I guess wolves were never flown from British Columbia and Alberta to Yellowstone National Park http://www.bioethics.iastate.edu/classroom/graywolf.html. I could be wrong. Whoever heard of sub-populations anyway. My God, it does not matter how they got there, they are genetically the same wolves, I fully understand and know they were taken to Yellowstone, but they are not different than the wolves that were there in the past, walk, run, fly or drive, they are North American Wolves, our political boundaries have no meaning when it comes to talking about wildlife, and yes, there are subspecies of wolves, but genetically, they are virtually the same. Now, if you want, you are more than welcome to publish links to peer reviewed and published documents to prove me wrong, I will anticipate your reply and your links. With wolf supporters like you, the antis don’t need to make things up! So then, all wolf populations in Montana are exactly the same. Same environment, same learning experiences and same breeding pair, exactly like those wolves flown in from Canada. Are all humans alike? We all have different experiences, different environments, but guess what we are all genetically the same! That would mean we are all clones. Sometimes one deletion doesn’t make a difference, but sometimes it does. I heard just one insertion in the genetics before the cancer suppressor gene can cause cancer. Genetics and experience are two entirely different things, experience does not change genetics. And now, they have been here for quite a while so the wolves in Montana have their own learning patterns, there are none of the original wolves I stood by when they were release in the Lamar. I was there the day they were released, and guess what those wolves didn’t care which border they were south or north of! You, Tamera are one of the worst I have ever corresponded with, in the almost 20 years since wolf re-introduction. Talk about being in left field. We are not talking about cancer and changing genes, we are talking animals that had no genetic manipulation, they were let out of a cage and adapted to their environment, the genetics did not change because they adapted. There are no mutations because they were moved from Canada to the US. But geographic isolation doesn’t change genetics? Anyway to prevent this blog from being filled up with our argument I suggest we discuss this elsewhere. I can be emailed at tamara.gregg@mail.mcgill.ca. And despite this argument I would like to see your work. There is a possibility that I’m wrong. One thing I will mention, these wolves are not isolated, they are mixing with the wolves that are naturally migrating from Canada, there is no isolation going on. And, if there was going to be a genetic mutation, it would take a lot longer than wolves have been in Yellowstone, genetics don’t mutate in this short of time, it take generations before a mutation occurs, there has been less than 20 years since wolves were release in Yellowstone. See this is one of the problems, people don’t realize that the environment is a whole lot bigger than just states and countries, the greater Yellowstone ecosystem is not just in Wyoming, it goes from well south of the park, to well north of the park. Okay. But would you tell me then what these distinct population segments VonHoldt is talking about are http://proxy4.vaniercollege.qc.ca:2113/ehost/pdfviewer/pdfviewer?sid=4a925fa0-56eb-4dda-9cd4-09806f4bc5e7%40sessionmgr15&vid=13&hid=22 (p253)? I realize I haven’t thought this through and I’m searching for the knowledge, but would I be permitted to be corrected from my misinterpretations? I believe I will sit this one out. okay, that is funny, in a perverse sort of way. Rancher Bob. Add a little perspective to your nonsense by telling the readers here how many hundreds of thousands of cows, sheep and other kinds of livestock “inhabit” Montana. Then restate how many of them “you claim” are killed by wolves. To call wolf depredation (even using your inflated numbers) a threat to an entire ranching industry is a scam and sham intended only to gain public sympathy needed to support your political dogma and your welfare ranching lifestyle. You know it and yet you sleep at night. Why am I not surprised? Welfare ranching, indeed. Hey Rancher Bob, Spend less time lobbying your legislature and crying wolf to the public and more time tending your livestock and you’ll see all forms of depredation diminish. But it’s cold and windy out there on the saddle, eh Rancher Bob? Cowboy? Hardly.